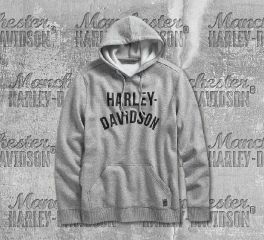 Moto-inspired details like pintucked shoulder stitching and leather accent add authentic urban style to this men's sweatshirt. 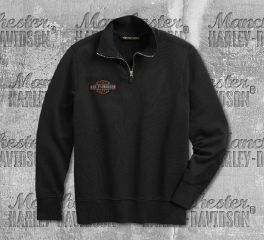 The Pintuck Shoulder Slim Fit Fleece Pullover works in sleek high-density graphics for subtle branding. Design Details: Pintucked stitching on upper arms. Rib-knit neckline, cuffs, and waist. 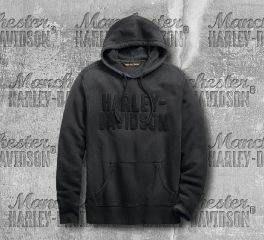 Washable goatskin leather accent on neck. 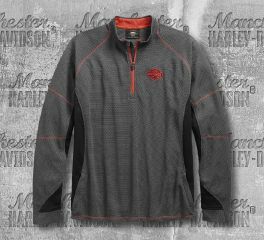 Get into gear with the Performance Wicking Pullover. Designed to help keep you cool by wicking away moisture, this men's wicking shirt is ideal to regulate body temp on ride day or after workouts and pickup games. 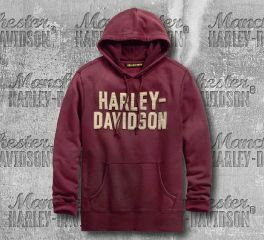 Materials: 100% polyester textured jersey body and sleeves. 65% polyester, 35% cotton interlock sleeves inserts and sides. 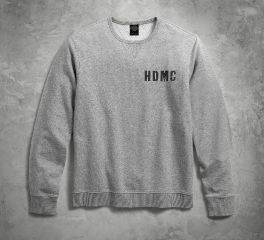 Graphics: Embroidered graphics. Printed patch. Take command in the military-inspired Digital Camo Pullover. Contrasting panels mark the shoulders, sleeves, and elbows on this men's long sleeve shirt resulting in a rugged layered style. 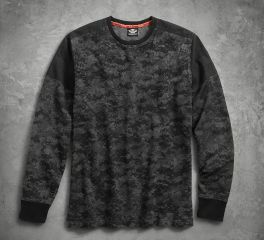 Stealthy black embroidery blends into the digital camo print – can you spot it? 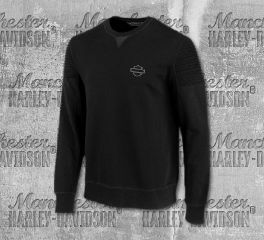 The Iron 883 Pullover Sweatshirt is perfect for heading out to a casual dinner with friends, on a weekend with family, or during downtime on a trip. The slim fit is cut a little closer to the body for a more modern look. Like it roomier? Size up. 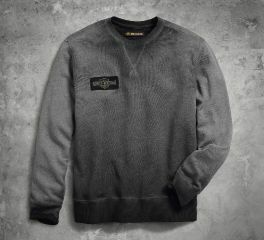 The rugged Iron Block 1/4-Zip Pullover celebrates timeless style. Crafted from long-lasting cotton jersey, this men's long sleeve shirt gets washed for a "been-there, done-that" vibe. Contrasting stitching and pockets add a sporty edge. 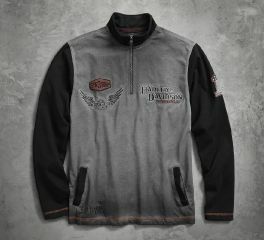 Detailed embroidery, appliqué, and patches point to our proud heritage.